I was always on the frence about fruit-based ice cream made with eggs. Yes, you got that right. I wrote “Frence,” which is my subconscious speaking (or writing), most likely because I’ve got both France – and fresh strawberries – on the brain these days. After rhubarb, strawberries are the first sign of spring at our markets. 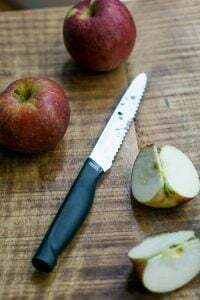 And while there are plenty of different types out there, I wait for the glorious day that the apple vendors from Picardie arrive at my market with barquettes of fragrant red berries that are so ripe they’re red all the way through when you slice them in half. Another bonus is that when you buy two baskets, they give ya’ a deal on the second. So, of course, I pick up two. Some fruits lend themselves to bring cooked, such as apricots and peaches, but I’m on the fence (not “frence”this time) about strawberries. 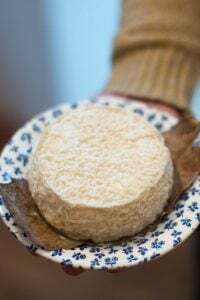 Their texture and bright flavor are big parts of their appeal and I tend to leave them out of baked goods, preferring them fresh. However, I was reading an article in The Wall Street Journal that talked about pairing miso with desserts and my curiosity was piqued. Included was a simple vanilla ice cream with miso, which got my attention because I liked the idea of what they said would add “a rich butterscotch flavor” to ice cream. And I had hunch that the savory idea of roasted fruit or berries might be a nice pairing with salty, fermented white miso. So I made up a custard, stirring in some white miso, roasted some strawberries, then churned everything up. One issue I’m asked about frequently from people who make ice cream, is that they’re vexed when they add chunks of fruit to ice cream, which become frozen solid after spending some time in the freezer after churning. (Short answer: fruit is around 90% water, and we all know what happens to water when you put it in the freezer.) So the best solution is either to add macerated fruit at the end of churning and eat the ice cream quickly, or serve the fruit as a sauce, which is my usual modus operandi. So roasting the berries in sweetener is a way to get the sugar into the berries (sugar inhibits freezing) – so there you have it. 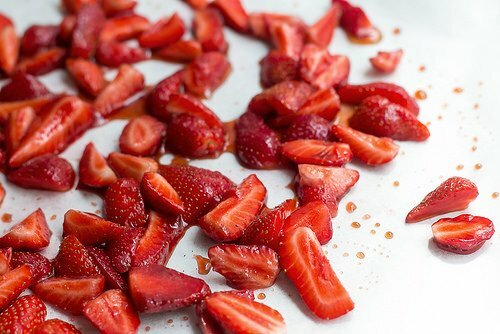 Another bonus is that when I pulled the roasted strawberries out of the oven, their flavor concentrated with a few spoonfuls of golden syrup and a touch of balsamic vinegar. I was thrilled with the flavor, and did everything I could to keep my spoon away from them. Even though I got the strawberries right, finding the right miso was a challenge. I had hoofed it over to Belleville, to one of the massive Asian supermarkets, and was completely flummoxed when I couldn’t find the saikyo miso recommended for the ice cream. 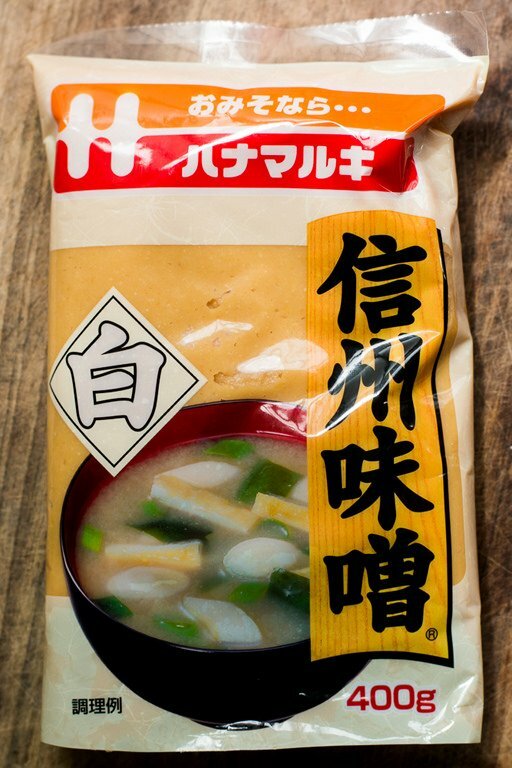 So there I was, hunched over my iPhone, Googling the various types of white miso while I dodged weekend shoppers, running their shopping cart wheels over the feet of the poor guy trying to figure out what it says on all those Japanese miso pouches. Inspired by Vanilla-miso ice cream by Nicole Bermensolo of Kyotofu, in The Wall Street JournalNote that roasting the strawberries will darken them, as well as concentrate the flavors. 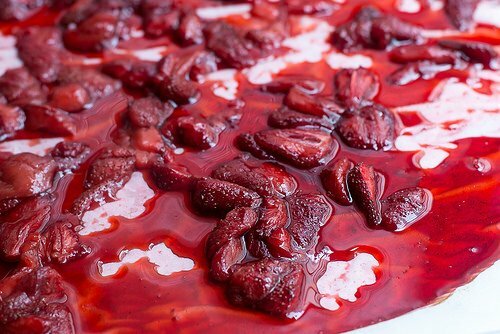 So the color of the ice cream will be a little more muted than if using fresh strawberries. 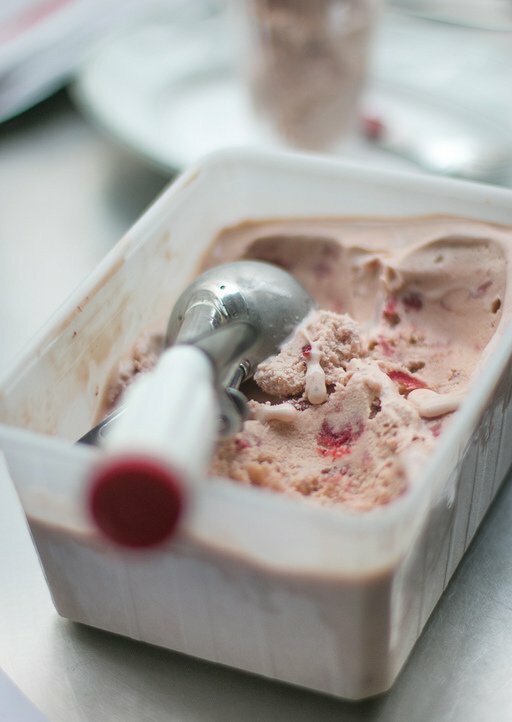 (There is a fresh strawberry ice cream recipe, that isn’t custard-based, in The Perfect Scoop. 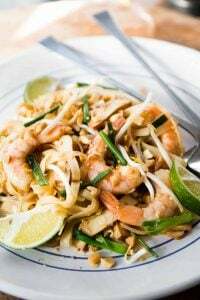 )If you don’t wish to use the miso, simply omit it from the recipe, and balance the mixture with a few drops of fresh lemon juice or kirsch, before churning. 2. Hull the strawberries and cut them in quarters. In a wide shallow baking dish with high sides (one that will fit all the berries in a single layer, with space between them), toss the berries with the golden syrup, balsamic vinegar, and black pepper. 3. Spread the berries across the bottom of the baking dish and roast on an upper rack of the oven, stirring once or twice during roasting, until they are well-cooked and the juices have thickened substantially, about 30 to 40 minutes. Remove from the oven and scrape into a bowl. 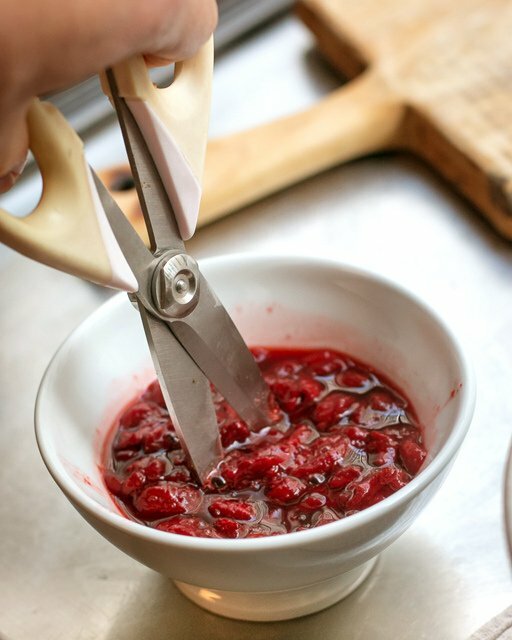 Once cool, take a pair of scissors and snip the cooked berries into smaller pieces, directly in the bowl. 4. To make the ice cream custard, heat the milk and sugar in a saucepan. 5. While the milk is warming, make an ice bath by placing a 2-quart (2l) bowl in a larger bowl partially filled with ice and water. Set a strainer over the top of the smaller bowl and pour the cream into the bowl. 6. In a separate bowl, whisk together the egg yolks and miso. Gradually pour some of the warm milk into the yolks, whisking constantly as you pour. Scrape the warmed yolks with miso and milk back into the saucepan. 7. Cook over low heat, stirring constantly and scraping the bottom with a heat-resistant spatula, until the custard thickens enough to coat the spatula. Strain the custard into the heavy cream. Stir over the ice until cool. Add the vanilla extract and refrigerate to chill thoroughly, preferably overnight. 8. 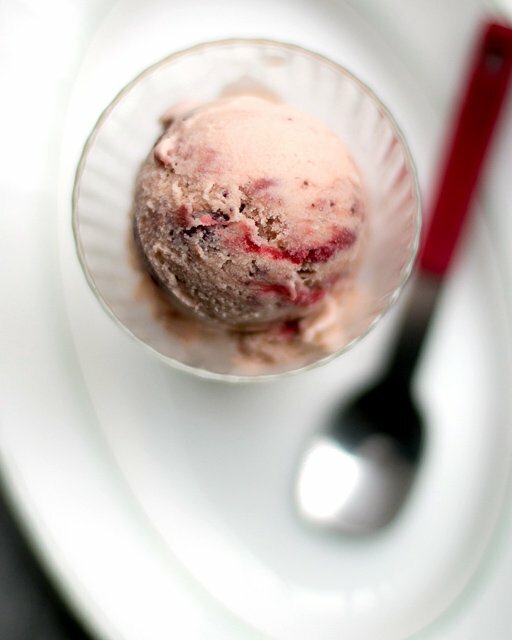 To finish the ice cream, mix the roasted strawberries with the miso ice cream custard, then churn in your ice cream maker according to the manufacturer’s instructions. ADORE. Just when I thought you couldn’t get any cooler (pardon the pun). This looks and sounds wicked. Thank you. Sounds delicious, David. Thank you for sharing another unique recipe. I will definitely try this. I think I will enlist my friend Eiko in the search for the correct miso! i just love everything you write (yes everything over the years)–it’s so juicy..
what an inventive and fabulous recipe..i’m looking forward to making it next summer..
Hi David! 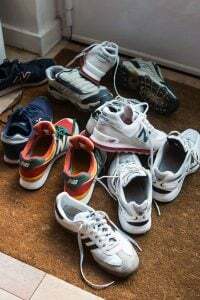 I really enjoy reading your blogs especially now I’ve been living in France for almost 9 months. It helps me to learn new French words too :) Wish I have seen your blogs about les pâtisseries à Paris earlier so that I could check them out…Tant pis. Anyway I’m a stagiaire at restaurant Hervé Busset close to the village Conques and working on pâtisserie. Looking forward to your next blog! For some reason I have been seeing your blog in a really strange format recently, like there is some problem… is that just me?I haven’t checked the comments thoroughly because it is hard to read them. I’m so intrigued by the combination of strawberries and miso! I’m a miso fiend at the moment, but can’t quite wrap my head around using it in desserts, however the fact you’ve shared a recipe means I just have to try it as I trust your recipes implicitly. I love the idea of roasting the strawberries beforehand, I’m not a big fan of solid frozen pieces of fruit in my ice-cream! This looks so interesting! I would’ve never thought of pairing strawberries & miso! 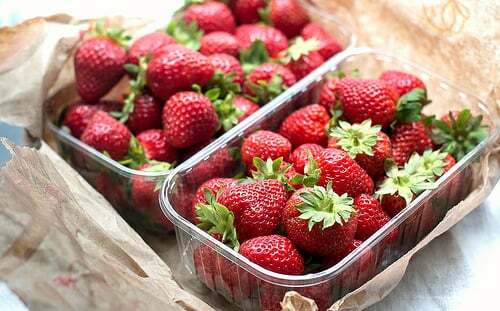 I have one question: since I live in the polar tundra of Canada, getting strawberries like that I either have to save for a whole year, fly to BC and then come back (I am in Quebec) or wait until the end of time here & sell my liver for the red-through full-on flavour strawberries. So my sacrilege of a question would be, for this, (gulp) & for your strawberry frozen yoghurt recipe: can I use frozen strawberries? You know, the cleaned frozen ones? Thank you. There are so many possibilities here. My first thought was to simply add brown sugar atop the strawberries before roasting. I do that often when toasting nut meats. Then I thought about a burnt sugar and how that could/might/would compliment the fruit and the overall results, but on that version I think I’d minus out the miso. I’ll have to try this. But I just got another tub of yogurt to make your recipe of strawberry frozen yogurt, which is currently my favorite way to use up all the extra berries from the market. Ditto about sugar helping keep ice cream from getting too rock hard in the freezer. I used to make homemade sorbet just using the crushed berries (don’t like things too sweet) and would have to eat it up within a few hours of churning. Any later than that and it would be too hard to even scoop out. I have seen miso in dessert before but never in ice cream! I feel as though this would also be good with some white chocolate melted in! Dina: Frozen strawberries should work fine (although I haven’t tried them). They tend to expel a lot of water when softening so you may need to cook them a little longer, to concentrate the juices. Nuts about food: No one has mentioned any problems viewing the site. Your browser may need updating, or try refreshing the cache in your browser? johanna: I usually share my ice cream (!) and don’t eat it all myself : ) For more information, check out this post. Hi, David! awesome flavour. will definitely try it out in the future. But as for now, my plan is coconut ice cream and mango sorbet marbled together like in that picture from your book. Could you please explain this method of marbling cause i`m afraid of making a mess and simply blending it all together. You freeze the two flavors, one after the other (if possible), then alternately, put layers of still-soft churned ice cream in a container (they don’t need to be perfect; I just put big “blobs” of ice cream and sorbet over each other), rapping it on the counter to loosen air bubbles. Then freeze completely. If you can’t freeze them one after the other, allow them to soften until scoopable, then layer them. You can swirl them a little as you go with a teaspoon, but don’t overdo it. The first ice cream recipe I came up with was a strawberry ice cream. When my partner tasted it he said#:”hmmm, it tastes healthy”. Not a good start. Then the day after the damn thing was a block of ice! Just like you warned us here. I never though of roasting the strawberries first (you are way too smart my friend)! Now that I’m much better at it (and you gave me the roasting tip) I’m ready to try again! Oh my word! I am going to clean out the freezer and get the ice cream maker prepped PRONTO! David, this is appropros of nothing in your post today — other than really good recipes. I have enjoyed reading and finally cooking and baking from your new book. First day out, a bistro dinner with lentil salad (sans cheese and nuts, I’m a purist about lentils), herbed omelet, duck-fat fried potatoes. And when I scored some fresh apricots at the market, I made the apricot crumble tart this weekend. All of the dishes were pick-up-a-fork-and-try-to-stop-eating good! I intend to bake/cook my way through your book, which might have made me famous if not for that Julie/Julia thing. I love it when the available strawberries are red all the way through, too…..like candy! MMMmmmm. This ice cream looks divine. 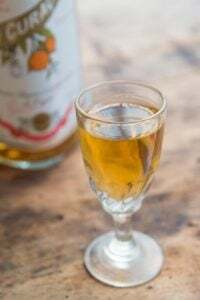 first learned about the combination of miso in sweet things from my blogger friend, Gal, who came up with the most delightful sweet-salty Tira-Miso. i bet you could eat it frozen as well. I would think the Japanese epiceries near or on rue Saint Anne at Metro Pyramid would be much better for white miso. They’re helpful too…something I never experienced in Belleville groceries. Love the idea of roasted strawberries and miso. Must try this soon! Hi David. What do you think of the idea apricots instead of strawberries? Would you roast them the same way? I have the article sitting on my desk. A little bit chicken, I have not yet tried it. I suppose the person who clipped it for me is also expecting to be the beneficiary of this trial…. Thanks for being the guinea pig… although I do notice that you didnt give any opinions on the end result….!! Oddfellows in Brooklyn has a miso butterscotch cherry so they must agree with butterscotch notes. Will have to try it sometime I always thought it’d be more a salty umami taste but I suppose the lighter misos with a lot of sugar could have a more malty/caramel taste. I add a shot of vodka to the ice cream base before churning, because alcohol raises the freezing temperature of the fruit. Have you tried that? Hi David, About how long do you roast the strawberries? I usually roast berries at 425F for about 15 minutes but think a longer roast at a lower temperature might do a better job of concentrating the flavors. I also like the idea of using maple syrup to add another layer of flavor. Thank you! I never use egg yolks in my ice cream. Can you tell me the benefit? And can they be omitted? Brilliant combination! I just love your progressive recipes. I need your book in my life asap! Yessss! I was so excited to see that article, and I’m even more thrilled to see this ice cream on your site, David. It looks and sounds incredible. Thank you for sharing! Wow, this looks goood. I will try it with the sweet white miso at the health food store. Plus, that’ll be gmo-free, which I prefer. 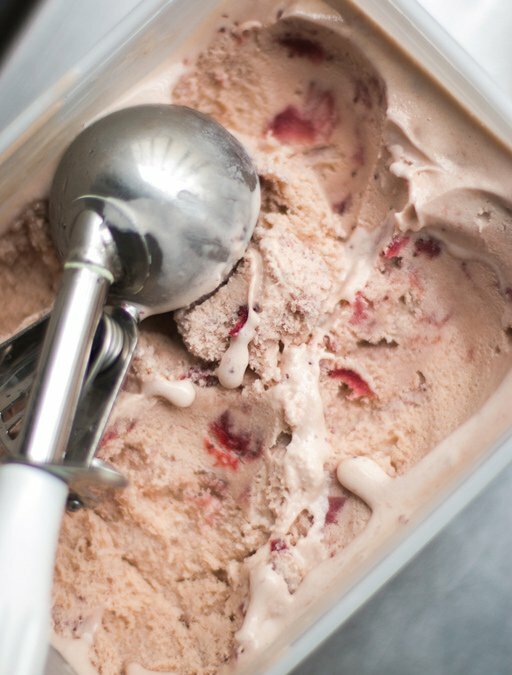 I like the comments about pairing with both white chocolate and cherry…both sound good, but homemade strawberry ice cream can not be beat, imo. Fine-tuning with balsamic and miso will be so fun, thx! Mi-so happy that you shared this treat with us. Lynda: Mine took about 40 minutes but much depends on their ripeness and other factors. I added in the cooking time range to the recipe. Lonnie: Yes I have, and that works great. That’s one of the suggestions I included in my post about making homemade ice cream softer, linked at the end of the post. 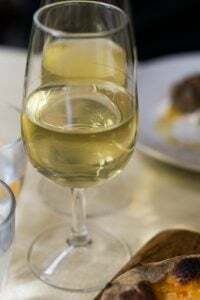 Although since a number of people avoid alcohol, there are a few other techniques as well. This looks like a great recipe too. It was extremely hot over the weekend here in Germany, so I made your Rose Strawberry sorbet. Delicious and extraordinarily refreshing. Thanks! Sounds delicious – your fresh strawberry ice cream from PS would be a staple in my freezer if it lasted long enough (a friend of my daughter’s ate a whole litre of it that I’d sent to his family), I might roast a double batch try the above and try stirring the roasted strawberries through the fresh one too. This sounds delicious. The flavors of salted soy and fermented savory-sweet isn’t totally without precedent for the use explored here… soybean powder (kinako) is often used in conjunction with a sweet fermented soy sauce syrup on grilled mochi in Japan, and the same sauce is used over sweet kanten in some traditional Japanese summer desserts. It’s nice to see it being explored as less of a novel ingredient. I love those Picardie guys too…the cherries are fab as well. Me han gustado tus fotografias y recetas, very insparing! I read the same article in the Wall Street Journal and have been looking for good recipes using miso. I, too, have had to use those little packets found in miso soup after looking through what I thought was a gourmet grocery. I finally found some in a bottle by itself in our local supermarket. In any case, I can’t wait to try this recipe. Thanks for sharing! There is a kinako recipe in David’s The Perfect Scoop if you like the taste of powdered soy ice cream. Also an avocado ice cream recipe. Have yet to try that one . . . on my list! I’m not a big fan of miso but this sounds divine!! I also love the idea of roasting strawberries! 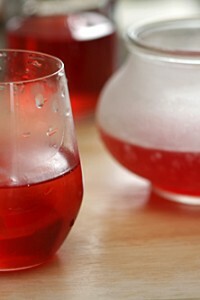 I often make this recipe:http://www.bitesforbabies.com/recipes/agave-lime-macerated-strawberries/ and my kids love it. I actually just made strawberry coconut “ice cream” the other day by blending frozen strawberries with coconut milk and a few other ingredients…a healthy treat on a hot day! Forwarding this link to my husband who is the official ice cream maker in our household. It looks soooooo delicious!!! Well, how did the flavor combo taste? Was it awesome, or just meh? I re read your post and can’t find your reaction to the finished recipe. I liked it, however I’m more of a fruit sorbet kind of person, rather than a fruit-in-ice-cream person. 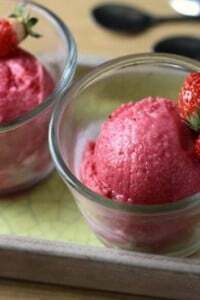 And tend to use berries and fresh fruits in sorbets. However I did like the miso in the ice cream but next time, I might make a regular miso ice cream and serve the roasted strawberries (which I loved, on their own) on top, as a sauce. Wow, just when I thought I’d totally maxed out on reading about new ice cream flavors (Jeni’s Splendid!!!) I see this! Sounds amazing! I’m down with the butterscotch hint . . . I might need to go shopping for a little ice cream maker. What an exciting flavor combination for summer, David. Looking forward to making this my own “ice cream making adventures” weekend project! I love almost everything that you come up with…but….you’re putting miso in ice cream. Go home, David. You’re drunk. I just made the couscous salad and merguez from your cookbook – I did the meat in patties and made the amended mayo – marvelous! People that like good food need your cookbook! The roasted strawberries are outrageously good on their own. Yummy just topped with some plain Greek yogurt (I stirred some of the juices into the yogurt). 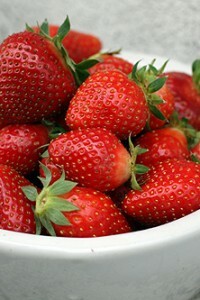 Next, to make the ice cream, but I’ll need to make another batch of roasted strawberries. I don’t have an ice cream maker. Would your previous instructions (from your other posts) for doing it the old-fashioned way of using an electric mixer every hour or so work with this one? My sister Cathy brought this for dessert after dinner at my house. I thought I’d hit a homerun with sockeye salmon grilled on a cedar plank, with an excellent farfalle salad with peas, red and yellow peppers, red onion, and pesto, lightly grilled, along with a simple green salad and oiled and garlicked ciabatta, but this Roasted Strawberry-Miso Ice Cream was the hit of the dinner. Wow, is all I can think to say. Like no other frozen ice-cream-type dessert I’ve ever had. Thanks. Took my kids strawberry picking this past Sunday at a farm in Woodstock, Il. 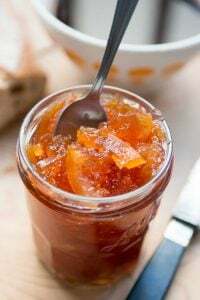 Came home and made a double batch of this amazing recipe. For anyone out there who is skeptical: the miso imparts a totally out-of-this world flavor and made the strawberry MORE intense. Unless you tell people there was miso in it, you can’t tell…you can only taste this slight savory umph to it. Thank you David! Wow miso in ice-cream? So odd, I have to say I’m not to sure I’ll have the confidence to make it! I have a huge tub of unpasteurized brown rice miso I picked up at a health food market stall, do you think it would work in this recipe? I’m no miso expert so I don’t know the specifics if it!